Give them effective protection as they brave the wintry outdoors with Pherson. 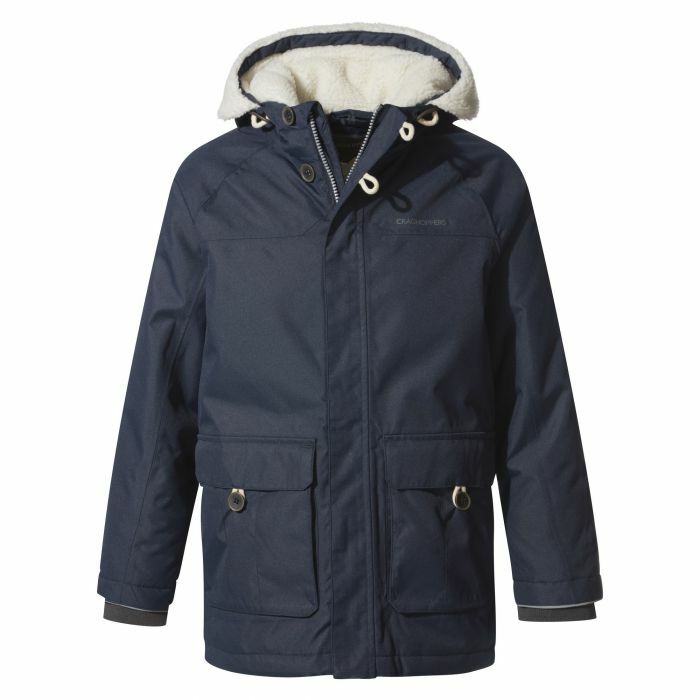 This relaxed waterproof looks the part and covers all the meteorological bases, thanks to the AquaDry construction, padded-and-quilted lining and snugborg-fleece-lined hood. Perfect for cold-weather expeditions. 3 Pockets - 2 Outer bellowed button fastening waist and 1 stretch mesh inner accessories pocket.